Two core elements make up VaynerX’s DNA: consumer attention and wine. 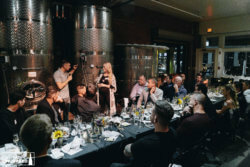 In October 2017, we brought these passions together for Digital Uncorked, an exclusive dinner hosted by Gary Vaynerchuk. At Digital Uncorked, we hosted a sold-out event at City Winery in NYC for an evening of talking business, tasting wine over dinner, and the chance to go deep on specific business questions in a Q&A format with Gary. 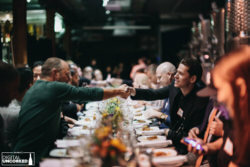 The dinner was themed around the rise of Voice technology; Gary opened the evening with a discussion of the current digital landscape and the role of Voice. Following dinner and Q&A, each attendee went home with an Amazon Alexa Echo Dot with a signed note from Gary. 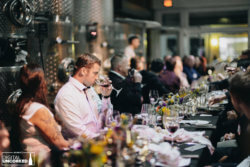 Attendees made valuable connections during the dinner and were added to a Digital Uncorked Facebook group following the event, which put them in touch with fellow attendees for continued networking. Columbia Records, Alliance7, The Soap Box, LKSD Kitchen, Vicente’s Supermarket, Pride Public Insurance Adjusters, TEPSBEST, SUMO Heavy, Highway 85 Creative, Rachel Pedersen Marketing, Data Driven Design, Transformation Agency, Moovly, Vaynwhere, Responcierge, AdZombies, eDropShipEmpire.